Many investors will urge people to tie their money up in gold. Buying gold can be a safe way for you to make money while you’re working. Gold will never be worth nothing; you can always sell it for some value. And, if you hold on to it for a long time, there’s a high chance the price will go up. Invest in some gold early on in your career and then sell it when you’re approaching retirement. This should give you some extra funds to make retirement living a lot more comfortable for you. Property is another great thing for you to invest in. Unlike gold, the property market can become unstable. However, if you own real estate, then it can generate lots of extra cash over the years. My advice is to build a property portfolio while you’re working. Invest in a small house and rent it out. This will give you income on a monthly basis. You can use your profits to invest in houses, apartments, or even mobile home parks. The main thing to think of when you’re buying properties is, do they make a good investment? If you can make lots of money from them in the long run, then they’re well worth investing in to fund your retirement. One of the best ways to prepare for your retirement is to save when you’re young. As soon as you start working, you should be thinking about retirement. Start saving money every month and deposit it into a pension scheme. 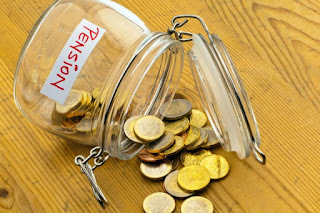 You can get two types of pension scheme; personal or workplace. Your employer may have one set up for you when you agree to work for them. They’ll take a fraction of your wages and put it into a pension pot for you. Over the years, you’ll have more and more money deposited, and it will gain interest. Then, when you retire, you’re given access to this pension and all the money. If you have a workplace pension, that doesn’t mean you can’t have a personal one too. In fact, it’s recommended you set one up yourself. Lots of banks allow you to do this, as well as private pension providers. This will mean you’re saving, even more, money and can be financially secure when it’s time to call it quits and stop working. Not having enough cash is the top fear for retirees in this day and age. It’s time you got your finances sorted and started thinking about your future. These three tips can help you fund your retirement and live without worrying about money.